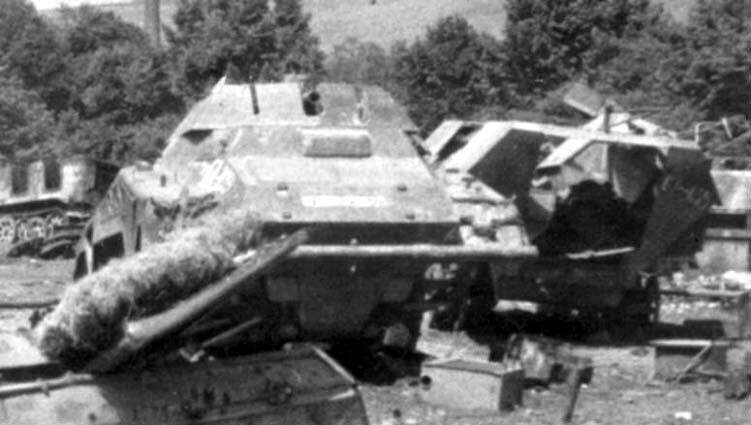 This wreckage of Sd Kfz 234/1 left abandoned after the end of WWII nearby CKD factory in Prague-Vysocany. 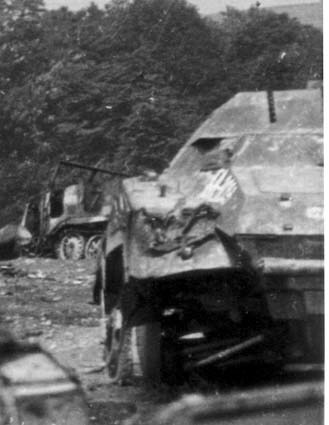 It beared a square with five dots sign, which denotes it at most probably to German 8th Panzer Division. doesn't implicate that PD's engagement in fights there. The same vehicle on a detail from another photo. 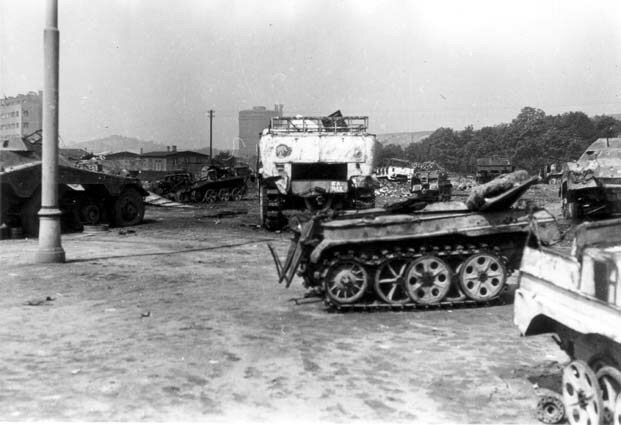 Another photo of the very same scrapyard. Unfortunatelly even from this photo the licence plate is uncipherable. 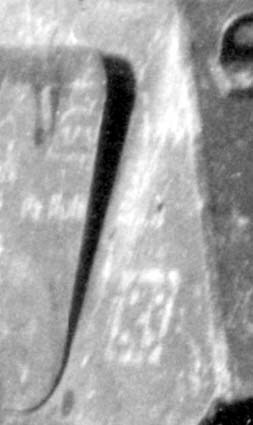 White inscription on frontal part of right side armour are Soviet wreckage evidence mark. 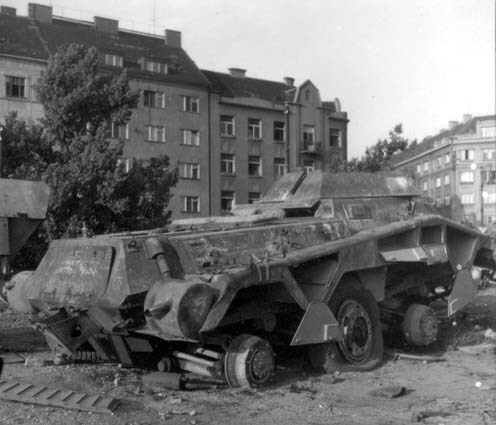 Another Sd Kfz 234/1 at left.